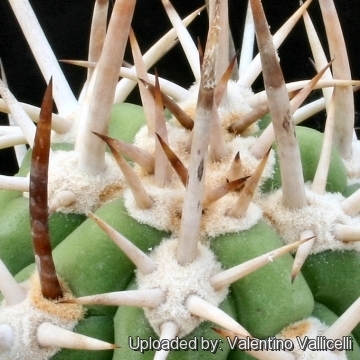 It is a fiercely spiny cactus with impressive and showy ivory spines. 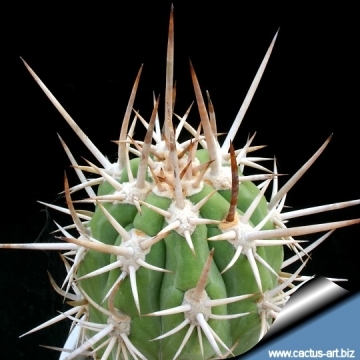 Description: Echinopsis chiloensis var. 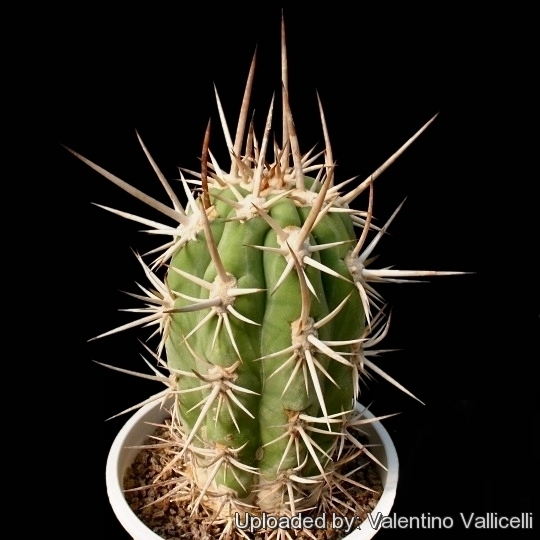 eburnea previously known as Trichocereus chiloensis var. 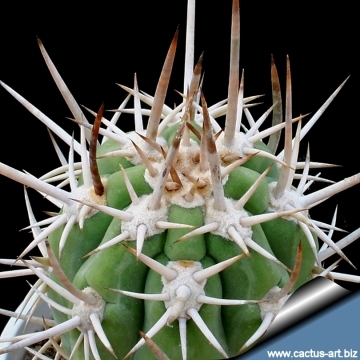 eburneus is very much like that of standard Echinopsis chiloensis but shows stouter ivory spines. The fruit and seed are similar to those of the other Varieties. Nowadays this plant is not considered a distinct variety but only one of the variable phenotypes of this this clinal species. Areoles/Spines: Areoles large whitish, 2 cm apart. Spines ivory, stout, at least when young, greyish later; 1 to 4 centrals, porrect, 5-7 cm (or even 12 or more cm long) 8 to 12 radials, up to 4 cm long.